Using mouse brains for research is standard practice in most countries, but there are some flaws with that practice. Most notable, not surprisingly, is the fact that mouse brains are just too different from human brains to be of use when researchers need very detailed information. 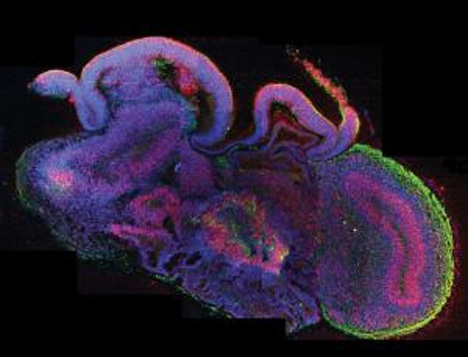 Austrian researcher Juergen Knoblich decided that he should have better tools to work with, so he set out to do what other scientists have only been able to dream about: he grew miniature human brains in his lab. Knoblich and his colleagues used adult stem cells that they programmed to behave like embryonic stem cells, turning them into induced pluripotent stem cells. They concocted a potion of brain-developing nutrients and fed it to the cells. 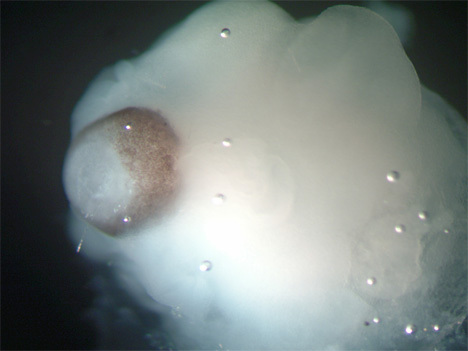 A few weeks later, tiny brain-like “organoids” had formed. The little “brains” are no more than three to four millimeters across and display structures similar to parts of an actual human brain. The practice of experimenting on human brain tissue may sound a little ethically sketchy, but these Petri dish brains will never develop consciousness. Recreating the incredible complexity of a functioning human brain is something that science still hasn’t been able to do. But if the researchers could figure out how to make slightly more complex “brains,” they may be able to give some insight into why some fetal brains don’t develop properly and why others develop conditions like schizophrenia. Rest assured, however, that even these brilliant researchers are light-years away from being able to produce a functional, feeling, sentient brain. See more in Weird Science or under Science. September, 2013.